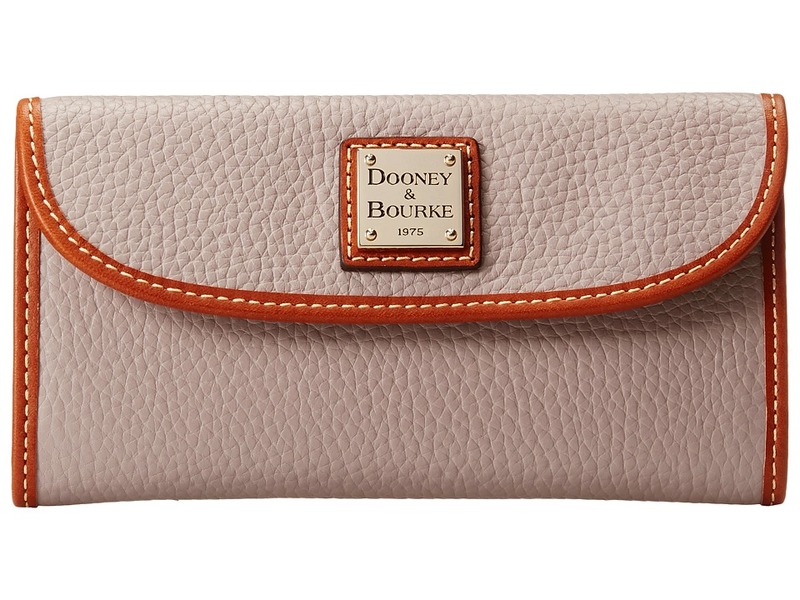 Stash and carry your main essentials with the chic clutch-style wallet. Softly pebbled leather. Magnetic-snap flap closure. Exterior zipper pocket at the back. Signature logo plaque. Leather interior with four bill compartments and seven card slots. Imported. Measurements: Bottom Width: 7 in Depth: 1 in Height: 4 in Weight: 7 oz Please note, the hardware color and interior lining may differ from the color shown in the photo.